Strengths: Twelve years after their last World Cup appearance, Belgium played an incredibly strong qualification where the squad won eight out of ten games. Belgium's current squad includes many excellent young players and the future looks bright for the team. Many experts even consider that the team could become the World Cup's greatest surprise and some people even bet their money on a surprise World Cup win by the Belgian side. Les Diables Rouges can in fact count on several world class players like goalkeeper Thibaut Curtois (Atlético Madrid), defenders Vincent Kompany (Manchester City F.C.) and Thomas Vermaelen (Arsenal F.C. ), midfielders Kevin De Bruyne (VfL Wolfsburg) and Marouane Fellaini (Manchester United F.C.) and strikers Eden Hazard and Romelu Lukaku (both from Chelsea F.C.). Weak points: The young Belgian squad has never experienced an international competition so far as Belgium went through some years of changes. This lack of experience as well as the warm weather could be factors that might irritate the young squad. Another slight disadvantage is the injury of striker Christian Benteke (Aston Villa F.C.) who had scored six goals in eighteen caps. Expectations: Belgium won't win the 2014 FIFA World Cup but their style of play will convince the masses and they should easily make it to the play-offs in this group. On the other side, I would be surprised if they went further than the round of 16 or quarter finals at best. Strengths: Algeria has a squad including a couple of interesting players that are currently performing in Europe's top clubs like defender Madjid Bougherra (S.S.C. Napoli), midfielders Nabil Bentaleb (Tottenham Hotspur F.C. ), Sofiane Feghouli (Valencia CF) and Saphir Taïder (Internazionale Milan) as well as strikers Nabil Ghilas (F.C. Porto) and Islam Slimani (Sporting Clube de Portugal). In addition to this, the squad seems to be on form right now as Algeria has won all three exhibition games this year against Armenia, Romania and Slovenia. Weak points: Algeria only qualified in a very lucky way for the tournament when they won their home game with 1:0 against Burkina Faso after a 2:3 defeat in the away game. Among the African teams that take part in this year's World Cup, Algeria looks like the least menacing one on paper. Historically, Algeria never survived the group stage in three World Cup appearences so far. Expectations: Algeria's squad is too weak to survive the group stage this year. Strengths: Russia played a surprisingly solid qualification and won its group in front of Portugal with seven victories, one draw and only two losses in ten games. The defense was very disciplined and conceeded only five goals in these games. Since the qualification, Russia didn't lose any exhibition game with four victories and two draws. Russia even played against South Korea in November 2013 and won with 2:1 against the Asian team. The players all know each other well as all 23 of them are currently playing in the domestic Russian Premier League. Weak points: This leads us to the weak points as well. None of the players in the squad is active in one of Europe's top leagues and those who tried over the last years failed quickly. The current squad even includes a player from FC Anzhi Makhachkala, an overambitious team owned by a multi-millionaire that failed terribly after a short rise and was relegated after a horrible season. On an international level, the Russian squad is not among the most experienced ones either. Nine out of twenty-three players didn't even play ten caps for their country. The team seems to be in acomplicated transitional process as most of the heroes of the 2008 European Championship have retired and some new blood is taking its place in the squad. Right now in 2014, the Russian squad doesn't seem to be ready for a surprising performance in a big international tournament yet. Expectations: The 2014 World Cup in Brazil is more like a preparation for Russia's own 2018 World Cup. The team is there to live some new experiences but the squad isn't strong enough to impress anybody in this tournament. The team will probably get eliminated right in the beginning of the tournament at group stage. Strengths: The Red Devils have a strong team spirit, a lot of tactical discipline and are known as a team that never gives up and always fights until the end. The current squad includes many young talents that are already playing in some of Europe's top leagues and especially in Germany like defender Hong Jeong-Ho (FC Augsburg) and Park Joo-Ho (1. FSV Mainz 05), midfielder Koo Ja-Cheol (1. FSV Mainz 05) and strikers Son Heung-Min (Bayer 04 Leverkusen) and Ji Dong-Won (FC Augsburg). Only one player in this dyanmical and light-footed squad is in fact older than twenty-nine: defender Kwak Tae-Hwi (Al-Hilal FC) who is thirty-two years old. Weak points: The Taegeuk Warriors had a streak of rather weak exhibition games over the last twelve months. Out of thirteen games, they won only five, got one draw and lost seven games including the last two. Many young players are still lacking experience. Ten out of twenty-three players have earned less than fifteen caps for their national football team so far. Expectations: Thanks to their great discipline and the rise of a few internationally successful and technically skilled players, South Korea's new soccer generation should make it to the play-offs. My guess is that they will make it to the quarter finals before they are going to meet a team that is too strong to beat. Strengths: Germany has been one of the most consistent squads over the past decades and always made it at least to the semi finals in all competitions since their home World Cup in 2006. The team plays a dynamical and modern kind of football. Their squad includes not only players from the strong domestic league but also from different top leagues in England, Italy and Spain. The team especially includes some of the world's most gifted midfielders such as Sami Khedira (Real Madrid C.F. ), Thomas Müller (FC Bayern Munich), Mesut Özil (Arsenal F.C. ), Lukas Podolski (Arsenal F.C. ), André Schürrle (Chelsea F.C.) and Bastian Schweinsteiger (FC Bayern Munich) to only name a few. After many second and third places, many experts, fans and the team itself think its time for a World Cup title for the current golden generation of German football. Weak points: In the last big tournaments, Germany always had a very two-sided play. At certain points, the squad was able to celebrate crushing victories over Argentina or England with many goals and on other days, they went through disappointing defeats against Italy or Spain where they couldn't score at all. This lack of consistency is an important issue. Another current problem is that some of Germany's most important players like Marco Reus (Borussia Dortmund) and Lars Bender (Bayer 04 Leverkusen) are currently injured while other only recently recovered from injuries and are not on top form yet like Sami Khedira or Miroslav Klose. Joachim Löw is a manager that always supports young players and Germany's current squad of youngsters includes seven international no names that have played five or less caps for Germany so far. These players might still be too unexperienced to mess with the world's greatest players. Another issue that is often discussed is the fact that the German squad only includes one striker with Miroslav Klose (S.S. Lazio) who is already thirty-six years old. Joachim Löw considers traditional strikers as less important and often nominates offensive midfielders as strikers like Mesut Özil or Mario Götze that couldn't always convince in their new roles. This experimental side of coaching could create some confusion among the players and can be considered as Germany's most important weakness. Expectations: Germany has played a very strong qualification where they won nine out of ten games and scored incredible thirty-six goals. Despite two victories and two draws in the last four friendly games, the German team seems to be less confident and on form than a few months ago due to a few unlucky injuries and many young players in the squad. The team is also lacking a true leader who is able to push the team in difficult situations. These are the reasons why Germany will survive the group stage and probably make it to the quarter finals but won't win the World Cup title this year. Strengths: Portugal's squad includes some of the best players in the world that are playing in the European top leagues. Apart of captain, superstar and FIFA Ballon d'Or winner Cristiano Ronaldo (Real Madrid C.F. ), there are other important players such as defenders Bruno Alves (Fenerbahce S.K.) and Pepe (Real Madrid C.F. ), midfielders Raul Meireles (Fenerbahce S.K.) and Nani (Manchester United F.C.) as well as strikers as Hugo Almeida (Besiktas J.K.) and Helder Postiga (S.S. Lazio). The squad seems to be on form right now. In the past twelve months, the team only lost one out of thirteen games. Weak points: Portugal has never won a World Cup or European Championship. The team has always been cited as a potential winning candidate by many experts for more than one decade but the Portuguese couldn't deliver so far. Sometimes, the team seems to be to dependant upon the form of superstar Cristiano Ronaldo. During the qualifying process, Portugal couldn't win its group and only placed second behind Russia. Portugal had to go into play-offs against Sweden where they had to give all they had to make it to the World Cup. Expectations: Portugal should survive the group stage but my guess is that they are to dependant upon their star players to form a strong team spirit. I think that Portugal won't make it beyond the round of sixteen. Strengths: Ghana seems to be Africa's most consistent, disciplined and successful team. The team played a solid qualification over the past years. The country also made it to the quarter finals during the 2010 FIFA World Cup in South Africa where they lost dramatically against Uruguay. Ghana can also count on a diversified and internationally experienced squad with twenty-three players that are currently playing in thirteen different countries: England, France, Germany, Ghana, Italy, Netherlands, Norway, Portugal, Russia, South Africa, Tunisia, Ukraine and the United Arab Emirates. The squad includes a few technically skilled players that got their international breakthroughs. The team is well known for their successful midfielders like Kwadwo Asamoah (Juventus F.C.) André Ayew (Olympique de Marseille), Kevin-Prince Boateng (FC Schalke 04) and Mikael Essien (A.C. Milan) as well as striker and captain Asamoah Gyan (Al-Ain FC). Weak points: The team's weak points are definitely the defense where they have only six players in their squad as well as the goalkeeping position. The past tournament has also shown that Ghana isn't always calm and clever enough to compete with the best teams in the world and plays sometimes in a too emotional way in important games. Expectations: Ghana plays in a very tough group and even though their squad has a lot of qualities and is probably Africa's best, it would be a surprise if they were able to beat Germany and Portugal in their group this year. Strengths: Soccer has become more and more popular in the United States over the last couple of years due to the expension a stronger Major Soccer League and recent successes of the national soccer team. The country has qualified for a World Cup for the seventh time in a row. New manager Jürgen Klinsmann had led Germany to a third place in the 2006 FIFA World Cup and is an experienced, experimental and sometimes controversial coach who has managed a very successful qualifying campaign for this year's World cup. The squad features a balanced mixture of experienced veterans and young and hungry players. Weak points: The most controversial decision made by Jürgen Klinsmann was to not nominate the most capped player and most successful striker in American soccer history Landon Donovan (LA Galaxy) for the World Cup. Instead of their charismatic leader, the manager nominated a few unexperienced no names with less than ten caps such as defenders John Brooks (Hertha BSC) and DeAndre Yedlin (Seattle Sounders FC) as well as midfielder Julian Green (FC Bayern Munich) and striker Aron Johannsson (AZ Alkmaar). Many experts guess that Jürgen Klinsmann will lose his job if these risky experiments don't work out. Expectations: The United States won't survive the tough group stage. They have too many unexperienced players and no player can take the place of the charismatic Landon Donovan that wasn't nominated in a controversial decision by German manager Jürgen Klinsmann. Strengths: Argentina's strengths are really obvious. The team finished first in its South American qualification group and only lost two out of sixteen games. Argentina scored a whopping 35 goals and onlt conceeded 15. The team is also extremely strong in friendly games and teh last time they've lost one of these was in September 2012. Let's add that the squad will be extremely motivated to perform well in the country of their biggest opponent. Argentina will have no problems with the climate and take advantage from their enthusiastic fans who support them no matter what. Currently, Argentina's squad includes one of the best soccer players in the whole world with captain and striker Lionel Messi (FC Barcelona) but his team mates are all experienced international professionals as well that are playing in the top pleagues of the world. Only three out of twenty-three players are actually playing in Argentina. Weak points: Argentina is always mentioned when it comes to guess a potential World Cup winner but the team hasn't delivered in the past tournaments. They couldn't mess with other strong international squads in the past: the lost 0:4 against Germany in the quarter finals of the 2010 FIFA World Cup in South Africa, 3:5 after penalties against Germany in the quarter finals of the 2006 FIFA World Cup in Germany and 1:2 against the Netherlands in the quarter finals of the 1998 FIFA World Cup in France. Argentina always has to deal with elevated attentions from experts and fans and the squad has often broken under this pressure. Expectations: This time Argentina should play a solid tournament and make it at least to the semi-finals. Their squad is on form and has grown together as a team and they are extremely motivated to play in Brazil this year. Argentina should become one of the best and most spectacular teams of the tournament. Strengths: Bosnia and Herzegovina led its qualification group by winning eight out of ten games. What was even more exceptional were the thirty goals the squad scored by only conceeding six goals. The young team can count on several great players such as the consistent defender and captain Emir Spahic (Bayer 04 Leverkusen), experienced midfielders Senad Lulic (S.S. Lazio), Zvjezdan Misimovic (Guizhou Renhe F.C. ), Miralem Pjanic (A.S. Roma) and Sejad Salihovic (TSG 1899 Hoffenheim) as well as the attacking duo of Edin Dzeko (Manchester City F.C.) and Vedad Ibisevic (VfB Stuttgart). The team can play without any pressure and could play the role of the underdog that might surprise some of the bigger teams. The team won four out of its five friendly games in 2014 scored fifteen goals by conceeding only two goals. Weak points: Bosnia and Herzegovina is the only new country in this year's World Cup. The team didn't qualify for any World Cup or European Championship so far and the squad is therefor completely unexperienced on this international level. Bosnia and Herzegovina has to face Argentina during their group stage and the team lost a friendly game against them with 0:2 in November 2013. Expectations: Despite its lack of experience on the international level, Bosnia and Herzegovina's squad is stronger than ever and should easily make it to the play-off stage. I would even go so far and predict that the squad might be the tournament's biggest surprise. I bet that they will make it to the quarter or even semi finals this year. Strengths: Iran has dominated the qualifying process for the 2014 FIFA World Cup in Brazil, leaving teams such as South Korea and Uzbekistan behind. In the last two years, the Iranian squad has only lost four games. Iran can count on an experienced and international coaching staff with members coming from countries such as Argentina, Brazil, Finland, Portugal and the United States of America. Weak points: Iran has never survived the group stage in three FIFA World Cup appearances. In addition to this, only nine out of twenty-three players are playing out of their home country. Iran has a squad of no names and is definitely one of the most mysterious teams in the World Cup. Expectations: The unknown Iranian players might surprise a couple of times but their squad is not strong and experienced enough to make it to the play-offs. If they survived the group stage this year, it would be more than just a surprise. Strengths: Nigeria has always had a high number of technically skilled players. Their current squad includes a couple of internationally experienced players such as midfielders John Obi Mikel (Chelsea F.C. ), Victor Moses (Liverpool F.C.) and Ogenyi Onazi (S.S. Lazio) as well as striker Emmanuel Emenike (Fenerbahce S.K.). The team can also count on a couple of promising talents that might have their breakthrough very soon such as midfielder Ramon Azeez (UD Almeria) and strikers Uche Nwofor (VVV-Venlo) and Michael Uchebo (Cercle Brugge). The weather conditions and general style of play at the Brazilian World Cup could be an advantage for the light-footed Africans. Weak points: Nigeria has never made it beyond the round of sixteen in four FIFA World Cup appearences so far. In the last two World Cups, Nigeria even got eliminated by finishing last in their groups. Nigeria also had a rather weak performance where they could beat Tahiti but lost against Spain and Uruguay. Nigeria has a squad full of talented players but they were missing discipline and strong team spirit several times in the past. Expectations: Nigeria is not disciplined and strong enough to survive the group stage. They may be able to beat Iran but they won't have any chances against Argentina as well as Bosnia and Herzegovina. Strengths: Switzerland has qualified for the 2014 FIFA World Cup in Brazil by leading its group with seven victories and three draws. The squad didn't only score seventeen goals but also only conceeded six goals. In the last twenty-four months, the Swiss team has only lost one out of eighteen games. In the 2010 FIFA World Cup in South Africa, the Swiss squad was the only team that was able to defeat future champions Spain with a 1:0 victory at group stage. The Swiss squad has the advantage that it is underestimated and plays without any pressure in this tournament. The squad also convinces with a young and dynamical squad and the fact that the players all know each other very well as they are all involved in German, Italian or Swiss clubs apart of Philippe Senderos (Aston Villa F.C.). The tournament is also the last for their German manager Ottmar Hitzfeld who is one of the best managers in the world and surely desires to finish its international career with a respectable result. Weak points: The Swiss squad hasn't won any international title and never went further than the quarter finals in the World Cup history. Their European Championship record is even worse as the country only qualified for three out of fourteen tournaments with one that took place in their country where the squad didn't need to qualify for. The Swiss squad even missed the last tournament that took place in Poland and Ukraine in 2012. Expectations: The Swiss squad might make it to the round of 16 this year because it os currently on form, can play without any pressure and might be able to surprise a few teams. Strengths: Ecuador will surely get pushed by the enthusiastic fans in South America and will have no problem at all with the humid and warm climate. The team has a very experienced squad as only three out of twenty-three players have less than ten caps for the national team. The players now each other well and seem to have a good team spirit. Weak points: The country played only an average qualification, finishing fourth out of ten teams in South America. 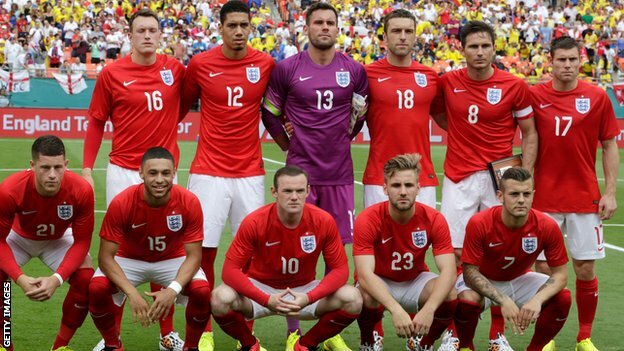 The squad could never win any big tournament as has only qualified three times for a World Cup so far. The team's preparation for the World Cup was also of an average quality only. So far in 2014, Ecuador won one match, lost one match and had two draws in four games. The team is also lacking a star player that could make the difference. Expectations: Despite the South American enthusiasm, Ecuador won't go very far in this tournament. Strengths: The French squad includes numerous star players from many different internetional top leagues. It starts with goalkeeper and captain Hugo Lloris (Tottenham Hotspur F.C. ), it goes on with defenders like Laurent Koscielny (Arsenal F.C.) and Raphaël Varane (Real Madrid C.F. ), midfielders like Yohan Cabaye (Paris Saint-Germain F.C.) and Paul Pogba (Juventus F.C.) and finally strikers like Karim Benzema (Real Madrid C.F.) and Olivier Giroux (Arsenal F.C.). After several refreshing changes, the squad also includes several promising young talents like defender Eliaquim Mangala (F.C. Porto) and midfielder Antoine Griezman (Real Sociedad) who haven't even played ten caps so far. Weak points: The French squad didn't qualify directly for the World Cup because the players weren't able to beat the Spanish squad. On the other side, the French squad still couldn't convince in its play-off matches where they were very lucky to beat the Ukrainian squad in two chaotic games. The squad's 2010 FIFA World Cup in South Africa was a disaster when players would start a rebellion against their own manager Raymond Domenech and France didn't survive the group stage. Fan support in France has somewhat decreased after these questionable events even though the French Football Federation desperately tries to polish the image of the French squad. Many players though have very different ethnic origins and are also playing in quite different leagues all around Europe which might have a negative impact on the team spirit as well. As if these problems were not enough, the team can't count on its best player Franck Ribéry (FC Bayern Munich) because of a back injury. Strengths: Honduras are the underdogs of the tournament, can play without any pressure and might surprise some of the bigger teams with a strong fan support behind them and a quick adaption to the humid and warm climate in Brazil. The players in the squad all know each other very well and only goalkeeper Luiz Lopez Fernandez (Real C.D. Espana) is an absolute newcomer. The most experienced players are goalkeeper Noel Valladares (Club Deportivo Olimpia) with 122 caps, defender Maynor Figueroa (Hull City A.F.C.) with 105 caps, midfielder Wilson Palacios (Stoke City F.C.) with 95 caps, midfielder Oscar Garcia (Houston Dynamo) with 92 caps and defender Victor Bernardez (San Jose Earthquakes) with 78 caps. In addition to this, the team can count on two successful strikers with Jerry Bengtson (New England Revolution) who has scored 19 goals in 44 caps and Carlo Costly (Real C.D. Espana) who has even scored 31 goals in 70 caps. Weak points: It's a fact that Honduras has an incredibly strong team spirit as the players know each other very well but this is due to the fact that eleven out of twenty-three players are still or again playing in the rather weak domestic league. The squad is internationally unexperienced as they have only qualified twice for a World Cup before this year and couldn't win any World Cup game so far. In addition to this, Honduras could only win one out of its last six friendly games that were supposed to prepare them for thsi year's World Cup. Expectations: It would be more than just a surprise if Honduras was able to survive the group stage. In my opinion, they will have a great experience in Brazil and go back home with three losses against international top teams. Hondura's time will certainly come but they are not there yet in 2014. Strengths: Uruguay played a strong 2013 FIFA Confederations Cup where the team finished in third position and scored a total of thirteen regular plus three penalty goals. The team seems to be on form since this tournamenet and has only lost once in ten games since then. Weak points: Uruguay played a rather weak qualification where the team finished in fifth position and had to go to the play-offs where they won against Jordan. The team's star player and forward Luis Suarez (Liverpool F.C.) is currently injured and the last World Cup's star players such as forward Diego Forlan (Cerezo Osaka), midfielder Diego Perez (Bologna F.C. 1909) or captain and defender Diego Lugano (West Bromwich Albion F.C.) are out of form and have become rather old. Expectaions: Uruguay won't make it to the round of 16 this year. Strengths: Costa Rica has finished second in the CONCACAF qualification for the 2014 FIFA World Cup, leaving the national teams from Honduras and Mexico behind. Weak points: Historically, Costa Rica qualified for four World Cups only where the team lost six games, achieved one draw and could win three matches. Costa Rica has only won one out of its last six friendly games and conceeded eleven goals in these matches. The current squad has almost no international experience as nine players are still playing in the Costa Rican Primera Division. The team's most experienced player Alvaro Saborio who has played 93 games since 2002 and scored 32 goals is currently injured. Expectations: Costa Rica is one of the weakest teams of the 2014 FIFA World Cup and will finish last in its group. Strengths: The players on the English squad now each other very well as all of them are currently playing in the United Kingdom. The squad includes a high number of young talents such as defenders Luke Shaw (Southhampton F.C.) and Phil Jones (Manchester United F.C. ), midfielders Raheem Sterling (Liverpool F.C. ), Ross Barkley (Everton F.C.) and Alex Oxlade-Chamberlain (Arsenal F.C.) and strikers Danny Welbeck (Manchester United F.C.) and Daniel Sturridge (Liverpool F.C.). In fact, 12 players are 26 years old or younger. On the other side, the team also features experienced leaders and big names such as captain Steven Gerrard (Liverpool F.C. ), vice-captain Frank Lampard (Chelsea F.C.) and Wayne Rooney (Manchester United F.C.). Out of their last sixteen games, the English national team has only lost two matches. England lost no game during the qualification, scored 31 goals and only conceeded 4 goals. Weak points: Each times England qualifies for a big tournament, expectations and pressure are high but the national team rarely delivers. The only time the team has won a World Cup was back in 1966 in their home country and the team has never won an UEFA European Championship. Especially the team's performances in Latin American countries are rather disappointing and some players seem to have some issues with the climate as well. Expectations: England will make it to the round of 16 but not further. Strengths: The Gli Azzurri features a good mixture of experienced players such as Italy's captain and most capped player ever Gianluigi Buffon (Juventus F.C. ), midfielder and vice-captain Andrea Pirlo (Juventus F.C.) and defender Andrea Barzagli (Juventus F.C.) as well as many promising talents like defender Mattia De Sciglio (A.C. Milan), midfielder Marco Verratti (Paris Saint-Germain F.C.) and controversial striker Mario Balotelli (A.C. Milan) who had his big breakthrough during the UEFA European Championship 2012. The Italian squad has a promising chemistry as twenty out of twenty-three players have played in Italy's Serie A during the 2013-2014 season and the remaining three players have all played for Paris Saint-Germain F.C. in France. Weak points: Italy hasn't won any of its last seven games and especially the draws against teams such as Armenia and Luxembourg were rather disappointing. The squad is also missing a real goalgetter right now. The best scorer right now is midfielder Daniele De Rossi (A.S. Roma) who scored 15 goals in 95 caps. Strikers Alessio Cerci (Torino F.C.) and Ciro Immobile (Borussia Dortmund) haven't scored in an official game yet and Lorenzo Insigne ha sonly scored once. It's questionable if these promising talents will have their big breakthrough during the tournament and start scoring many important goals. Expectations: Italy will at least make it to the round of 16.